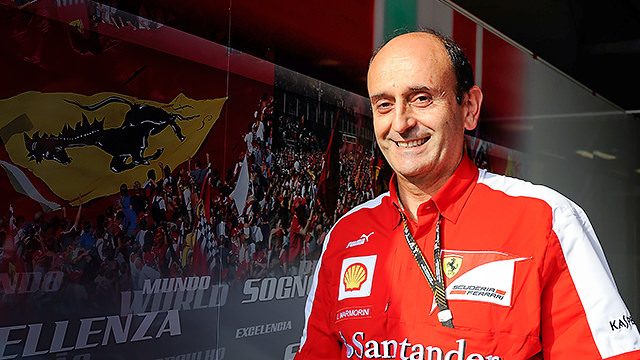 The Ferrari team have undergone yet another technical department shake-up, after confirmation that engine chief Luca Marmorini has left the company. Marmorini was in charge of designing and developing the power unit, which has come in under par compared to the Mercedes unit of 2014. A statement from the team announced that, quote: “As part of the restructuring of the Power Unit department, Mattia Binotto will assume the role of Chief Operating Officer. James Allison, technical director, continues to be responsible for the entire car project, supported by Nikolas Tombazis, chief designer chassis, and Lorenzo Sassi, chief designer power unit.